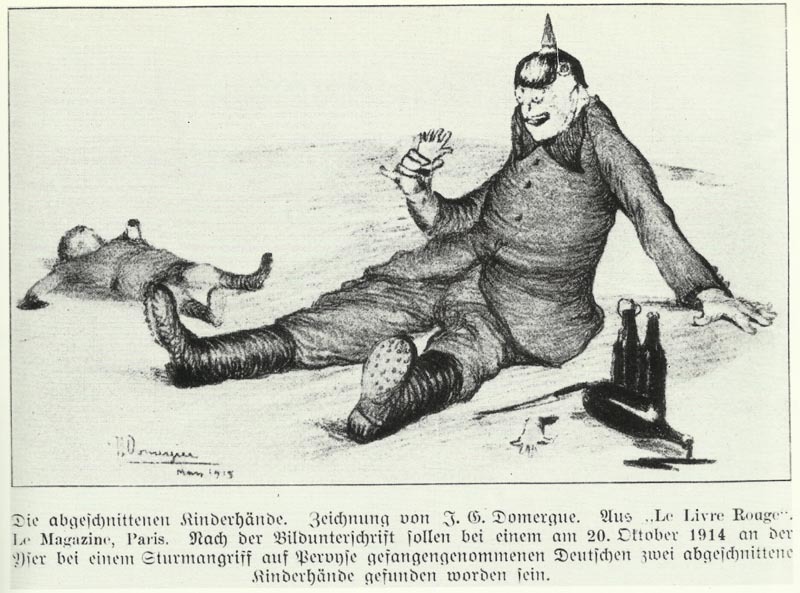 The cut-off hands of children: the French atrocity propaganda is demonstrated by the ‘Illustrierte Zeitung’ to the German audiences. East Africa: Royal Navy C-in-C reports 2 planes and 2 guns landed at Mombasa, 150 men available, but fears U-boats’ arrival ! Germany: French planes bomb Lorrach, South Baden, and Mülheim on August 27. Denmark: Germany regrets shelling British submarine E13 in Danish waters (stranded on Saltholm on August 18, 1915) and signs trade agreement.